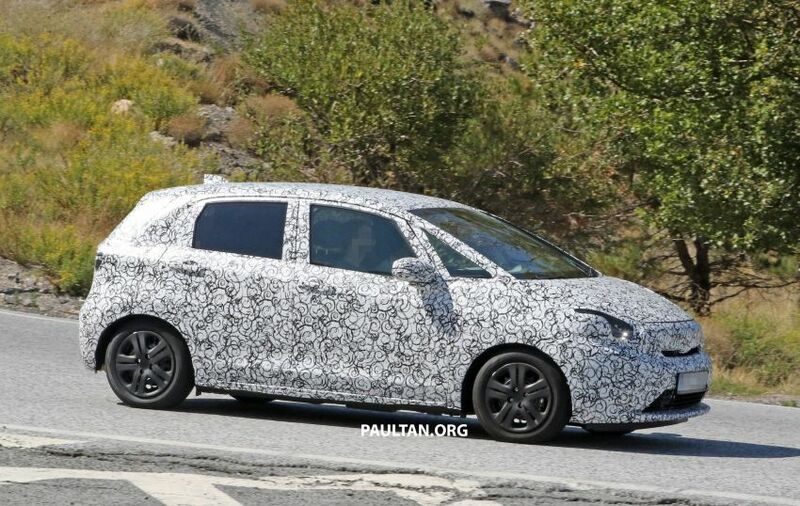 The next-generation of Honda’s premium hatchback, the Jazz was spied undergoing testing for the first time in the US. 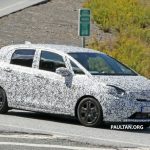 The Jazz, also known as the Fit in markets such as USA, is likely to be launched there next-year. We can expect the next-generation Jazz to arrive on Indian shores sometime in 2020. The Jazz, currently in its third-generation, has been a slow seller for Honda in India. 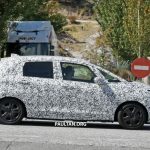 Honda will look on correcting it and these pictures give an indication of how the fourth-generation Jazz will be looking like. 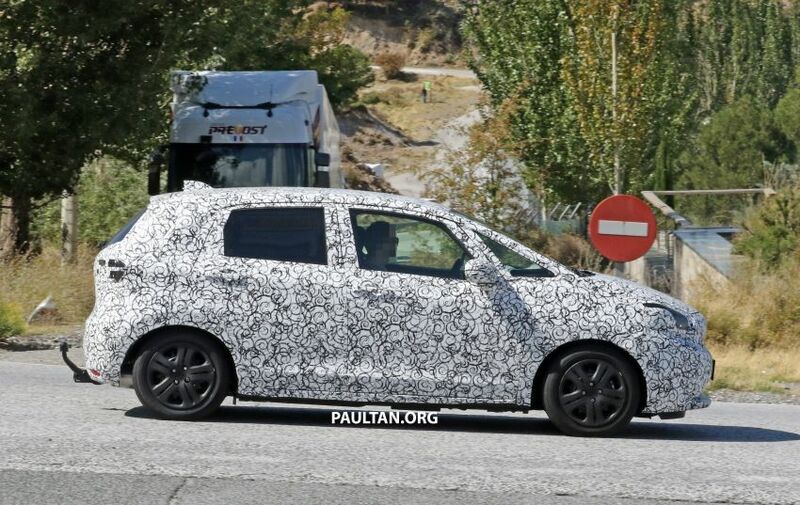 The test mule was spied wearing complete camouflage, but it’s design and identity could be seen by all. Fourth-gen Honda Jazz will be based on a brand new platform that will underpin Honda’s small to mid-size cars in the near future. 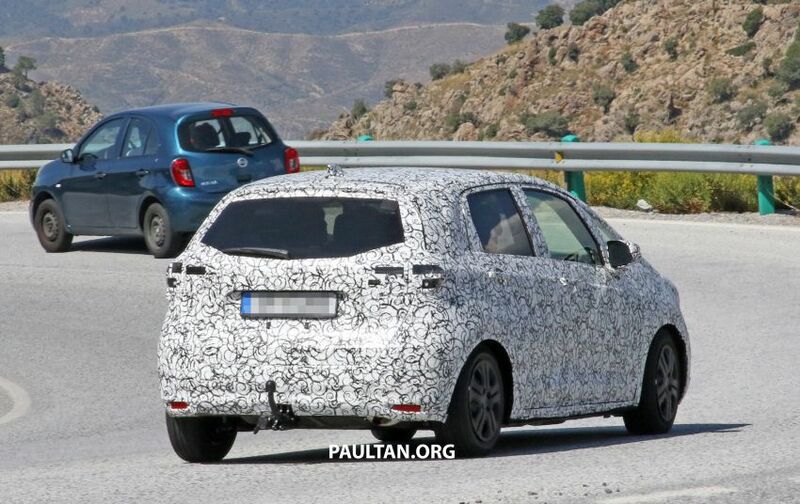 We can see the new Jazz having a large front windscreen, a nose-diving boot and quarter glass at the front and rear. 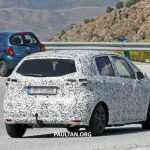 Honda claims that the next generation Jazz, like all the previous models represents a ‘cab forward’ design with space being its calling card. 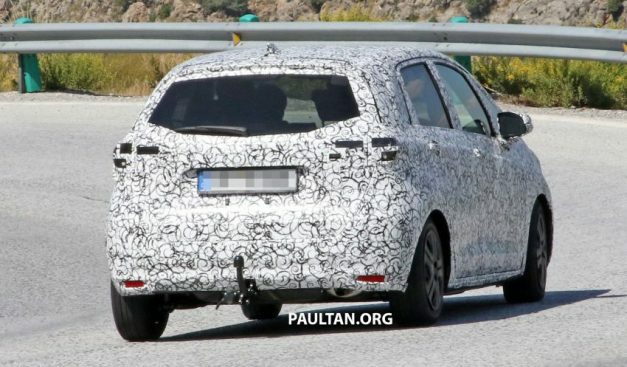 The new design will feature wraparound headlamps, a new bumper and Honda’s new wing-type grille. However, the biggest talking point of the fourth generation Jazz will be the new platform it will employ. 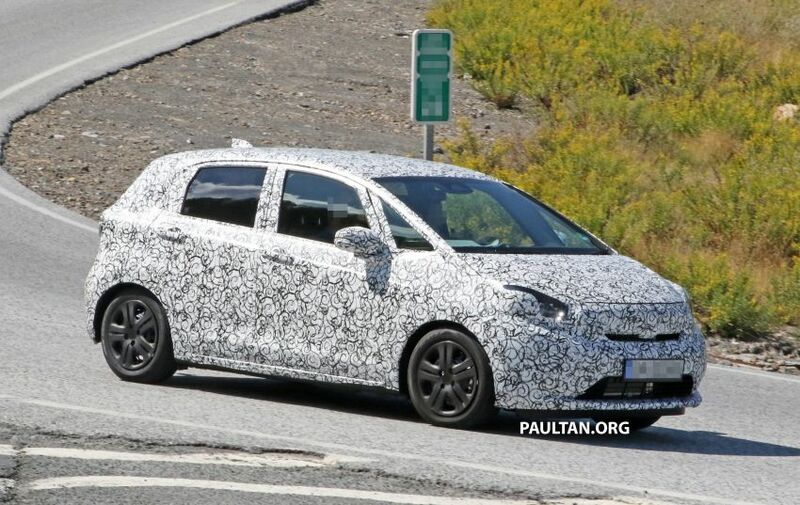 This platform will underpin models such as the HR-V and the next generation WR-V, also slated for launch here around the same time. 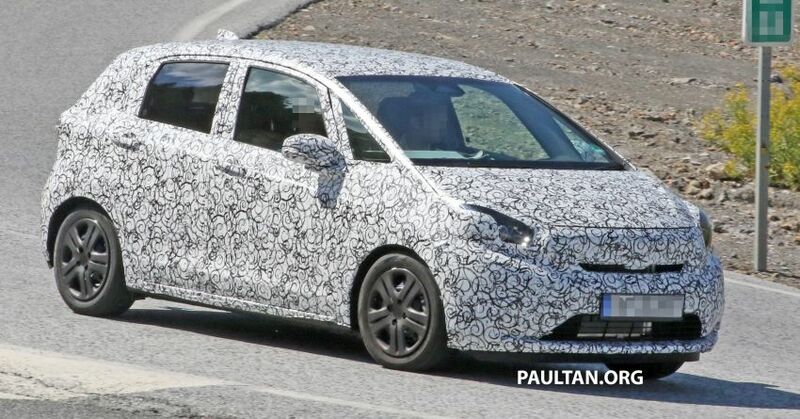 We can expect the new Jazz to be having a powerful range of engines in its array when launched. 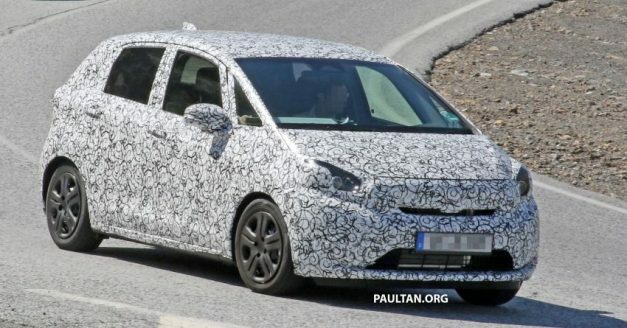 The next-gen Jazz is likely to get the third generation of Honda’s two-motor hybrid system which debuted with the Honda Insight early this-year. 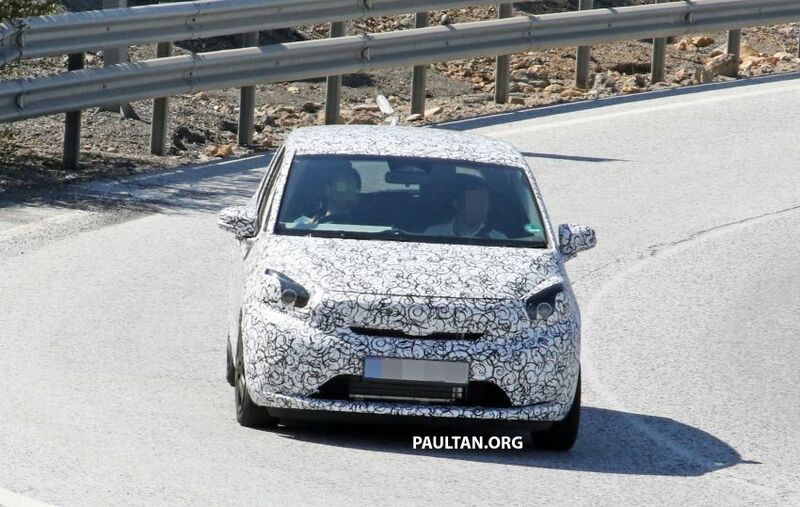 There will be a turbocharged 1.0-litre petrol engine delivering 126 BHP of power and 200 Nm of torque. It will also feature Honda’s new 1.5-litre i-VTEC Earth Dreams petrol engine, which produces 131 BHP of power and 155 Nm of torque. Both engines will come mated either to a 6-speed manual or a CVT transmission. 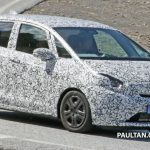 Honda are also rumoured to be readying an electric version of the Jazz, though no information has been out regarding it. 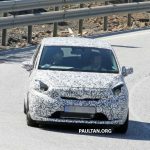 The next generation Jazz will rival the likes of the Maruti Suzuki Baleno and the Hyundai i20. 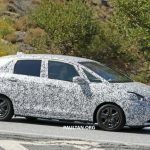 Will Honda be third time lucky with the Jazz in India? Only time can tell.